Jan. 24 (NBD) -- The short-video sector saw rapid development in the past 2018, and is expected to welcome an increasing number of shorter micro dramas and variety shows with higher interaction in 2019. Statistics compiled by Internet data firm QuestMobile showed that as of June, 2018, the number of active users on short-video platforms surpassed 500 million, representing a year-over-year increase of 104 percent. Meanwhile, tech giants such as Tencent and Alibaba as well as big players in the social media domain including Weibo and Zhihu are beefing up presence in the booming field. 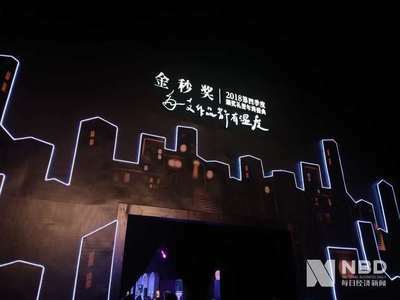 The short-video award recently hosted on Tuesday by ByteDance's subsidiary video app Xigua Video, to some extent, miniatured certain trends in the short-video industry. The number of contest entries collected by Xigua Video saw a five-fold increase to more than 630,000 from the previous year, and the total view counts of those videos hit 24.2 billion, also a huge leap from the previous year. After the development in 2018, Ge Xiaojing, who manages content creators at Xigua Video, held that contents of videos of three-five minutes have moved from the growth stage towards a phase of maturity where intensive and refined advancement replaces barbaric growth. The changes are mainly reflected in the fact that short video creators, instead of going it alone, start to collaborate with team members, the trend of crossover, diversified and vertically differentiated contents is strengthened, and short videos are increasingly marketed as IPs. Apart from well-known players like TikTok, Kuaishou and Xigua Video, there are other competitors racing in the niche, concentrating on one specific segmentation such as food, beauty makeup, fashion as well as sneaker reviews targeting men. To market short videos as IPs is beneficial for shaping distinct characters which impress, attract and retain users and increase their viewing rate. NBD noticed that short-video platforms in 2018 not only strengthened the construction of high-quality contents, but also started to make inroads into the film and television circle by joining hands with films, TV dramas, variety shows and other contents alike. For instance, YOO, a short video platform launched by Tencent last November, has released several dramas with each episode lasting around four minutes. Xigua Video announced the plan to build its short-video IP, with nine micro variety shows to pop up online in 2019.
iQiyi is also developing short drama series but experimenting with the vertical video format. Gong Yu, the company's founder and CEO, predicted that vertical videos will become a major trend in the future. Obviously, shorter videos with higher interaction are better catering to the fragmentation of audience attention, but only the market and the users can tell where the "marriage" between short-video platforms and film & TV contents will be heading to.